Depending on where you live schools are either out or ending Friday, and the annual senior week pilgrimage to Ocean City is already underway. Pretty soon traffic will be piling up on Bay Bridge each weekend, and Route 50 will be jam packed with beachgoers. If you venture east not only will you be sharing the road with thousands of station wagons and SUVs filled to the brim with coolers and chairs, but also with state and local law enforcement. Maryland State Police have officially launched their “Lose the Booze” initiative for 2018, and are teaming up with local law enforcement on the Eastern Shore to combat underage drinking and DUI. The Easton Police Department, Talbot County Sheriff and Caroline County Sheriff have already joined the initiative, and other law enforcement agencies in the area will certainly be on high alert for all drug and alcohol related offenses. Police on the Eastern Shore are notorious for making arrests on the few thoroughfares that head to Ocean City and the Delaware beaches. Route 50 is really the only direct way to Ocean City for beachgoers from Maryland, Washington D.C. and Virginia. Police patrolling 50, 301 and 404 will always profile a car full of young adults/ teenagers and look for any excuse to make a traffic stop to investigate further. Out of state license plates do not help the cause either. Pennsylvania vacationers avoid most of the Maryland highways on their way to the beach but their PA license plate still sticks out on Coastal Highway and other roads inland. Most of the time it’s speeding, but an officer who locks on to a car is legally permitted to make a stop for any type of traffic infraction, no matter how minor. Once the traffic stop begins the officer can then use his or her observations to develop probable cause for a search. Upon making a traffic stop Eastern Shore police officers are immediately looking for signs of impairment. All police are trained to look for clues of DUI or DWI but officers in Ocean City and the surrounding areas almost expect it. This is especially true on weekends in the afternoon, evening, or even first thing in the morning for those drivers who have not quite slept it off. Cops that encounter teenagers or anyone that looks under the age of 21 will be on high alert for alcohol in the vehicle. Minors in possession of alcohol can be charged with a civil citation and face up to a $500 fine, which all minors in a car could be subject to if the alcohol is found in the passenger compartment. While hundreds of arrests will occur this summer out on the highways leading to the beach, vacationers must also be on the lookout for bike cops looking for public consumption on the boardwalk and in other areas around town. Possessing an open container of alcohol and drinking in public are illegal in Ocean City, and offenders face the possibility of jail time if they are caught. 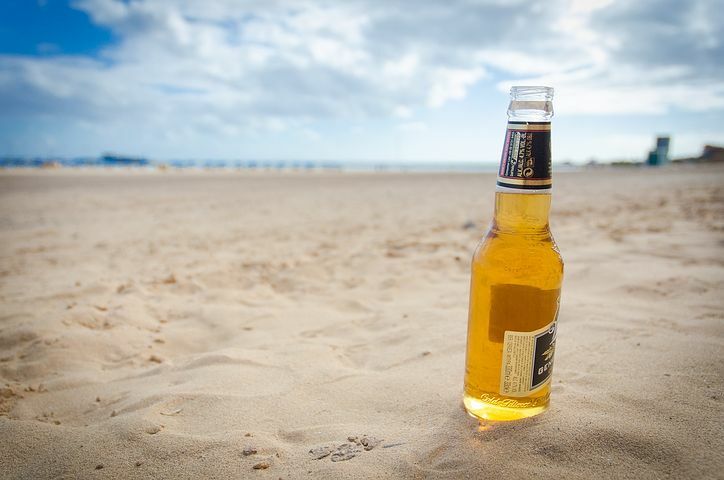 In most Maryland jurisdictions open container and public alcohol consumption are civil infractions, but the Ocean City code classifies these offenses as misdemeanors with a 90-day maximum jail sentence. Offenders could be arrested, and will be required to show up to court at a later date to answer for the charges. Benjamin Herbst is an Ocean City criminal defense lawyer that handles cases on the entire Eastern Shore. He is highly experienced at defending clients charged with a variety of alcohol and drug violations including DUI, open container, minor in possession and possession with intent to distribute. Benjamin also specializes in representing out of state defendants, and understands the hardships of traveling to court from another state. Contact Benjamin anytime for a free consultation about your case at 410-207-2598. Maryland State Police Tackling Underage Drinking, Impaired Driving with “Lose the Booze” initiative, www.news.maryland.gov.